I am very excited to present this Spotlight edition. The world of blogging can be a very lucrative way to earn an income. It should also be pointed out that under no way is it an “easy” way to earn a living online. People often get very misled with this. Let me point out now that blogging is NOT an easy way to earn money, it takes time and requires a lot of dedication. Very few blogs start off from the get go and start making thousands of dollars per month. However, with some time and a proper plan you can grow one into a decent income stream. 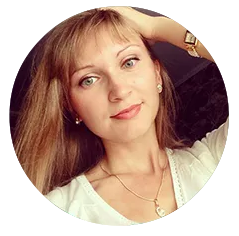 I am delighted to have on the chat today Anastasia Gutnikova who runs blogs across various niches. We met when sharing ideas across Pinterest boards a while back. Since then I have guest blogged on one of her blogs and she continues to provide amazing knowledge and help in these fields. So, lets hand over to this Spotlight edition. Anyone with a blog or thinking of starting a blog – get your notepad ready. (JOHN) – Hello Anastasia, thank you for agreeing to do this. Let’s start with a little bit about you. Can you tell us a brief bit about your background and how you came to earn a living online? (ANA) Hi, John! Thank you for the invitation. I’m a full-time blogger for just one year. Before that, for at least 10 years, I’ve been acquainted with the world of online money making and never had the courage to step in deep waters of being self-employed. I worked as an editor for an online magazine about SEO (search engine optimization) and then as an online marketer for a few digital agencies and companies. It was great to learn new stuff but I always wanted to make things my way and be my own boss. And I always felt the boundaries of being an employee (financial, in lifestyle and in terms of mindset). While still at my last job, I started working on my first blog in my free hours and on weekends. In 10-11 months, the blog started making close to my day job salary, so I took the risk and quit the corporate world. Never regretted my decision. I just wanted to note though that I live in Portugal and probably the average day job salary for a marketer is very different in other parts of the world. Even though my blogging income varies from month to month, it’s still a lot better than I could make in my day job, and I have all the freedom of working in pyjamas and planning my working hours as I find it convenient. (JOHN) – Would you mind telling us roughly how much you earn from your blogs? What is an average month? (ANA) Sure, I made the math for 2018, the average per month was $3000. The income varies a lot from month to month though. The last quarter of 2018 was the best and helped me raise the average monthly income quite well. It was the first year I’ve been blogging full time and I feel a lot more confident in my blogging future by the end of the year. It doesn’t look scary or unpredictable anymore. I know which triggers to pull to get more traffic and when to do it, I’ve seen which emails work better for my product sales, I’ve done a ton of mistakes and learned how I should not do the work next time. (JOHN) – That’s great stuff – well done! For the readers who don’t know how you earn money from blogging would you mind giving a breakdown on exactly “how” you earn your money from your blogs? 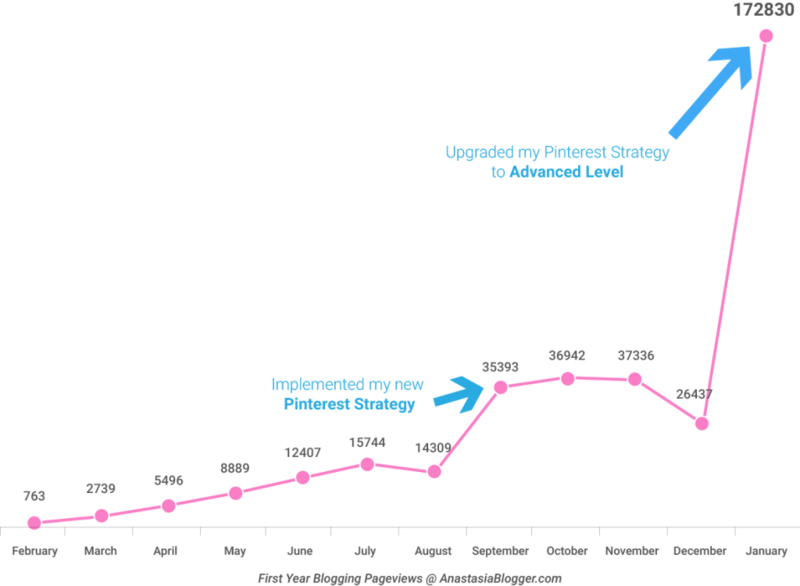 Is it advertising, affiliate marketing etc…. (ANA) When I started my blog, affiliate marketing in the blogging niche was the best income generator because with small traffic, I could only have Adsense for ads and they paid very low. And I didn’t have my own products until I quit my day job and focused on creating a course (Pinterest SEO Traffic Secrets) for 3 months. 20% affiliate offers (blogging products + side hustles). (JOHN) – Obviously for all this to work you need to get a decent amount of traffic. Do you run paid ads to your site or do you rely on free traffic? (ANA) I mainly rely on free (organic) Pinterest traffic – it brings about 90% of all traffic to my blog. Pinterest traffic has a mixed nature: it can be viral and also can be based on keyword search. 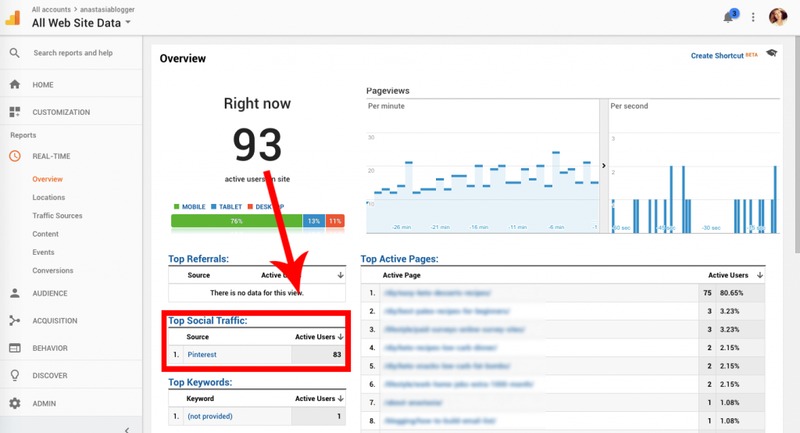 In my Pinterest SEO Traffic Secrets course, I show how you can take advantage of both. And what’s interesting, I’m not only getting Pinterest traffic to my food, holiday, DIY-related posts. Those are monetized with ads. But I also get a lot of traffic to my content about blogging and side-hustles! These can be monetized with higher values per user, so even though the overall volume of traffic to this content is lower, I can make about the same amount of income as from ads by selling my products and affiliate offers. I did test some paid ads on Facebook, Pinterest and Google. It was quite expensive and I didn’t see any significant improvement in my income from ads. After several small-scale unsuccessful tests with ads on different platforms, I decided while FREE Pinterest traffic works the best for me, I’ll focus on it, and take the most out of it! (JOHN) – Yes, I remember when Pinterest was all about weddings and home décor pictures! How times have changed. Do you think Pinterest can be used to drive traffic to most niches these days? (ANA) It’s true that Pinterest has a lot of potential in most niches nowadays. In some you’ll get more traffic, in others you’ll get less (definitely, healthy recipes can drive more traffic than business-related pins). But then it’s the question of how you monetize your traffic. The recipe traffic will most probably be monetized with ads at about $10/1000 pageviews, while each pin that brings you a lead for a product or affiliate offer, can potentially bring you a lot more! (JOHN) – What’s next for you then? Do you have any big plans you mind sharing for the future with your blogs? (ANA) I plan to create more content (both, free and paid products) to help other bloggers make a living with their sites. I know that blogs are often started as a hobby, a side-hustle attempt. And they are often abandoned because there is no strategic approach. I want to help more people understand that they can actually achieve their dream lifestyle by building a blog or business online. (JOHN) – Yes! Haha! Very much like this one really. 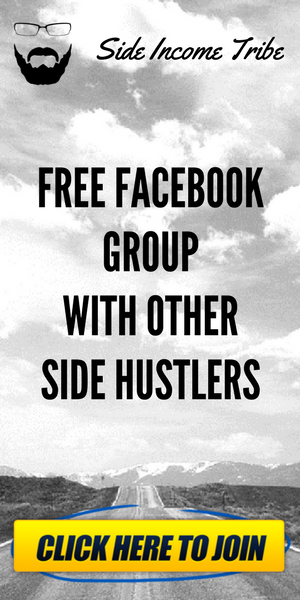 It was started as a side hustle about side hustles! 😊 Thank you for your time. As I always like to finish – what is your number one super-hot tip you would give to any new bloggers just starting out looking to make a living from them? (ANA) I would say, if you see blogging as a way to make living, don’t treat it as a hobby from day zero. To become a doctor, a teacher, an accountant, a plumber, you invest time and often a lot of money. You acquire a set of skills and knowledge. You improve along the way, you get experience, you pay for professional courses to get to the next level in your career. So, don’t expect that blogging will come to you naturally and will be making you money just because you bought a domain name. Some think they just need to tell stories of their daily life and people will follow them. Let’s face it, people don’t care about you unless you are Cristiano Ronaldo or Kim Kardashian. In my opinion, they should care about you more, but the reality is they don’t. So, don’t start a blog to talk about your everyday life. If you want to make money with a blog, it has to answer questions people have or solve their problems. They don’t care about you, you have to care about THEM in every post you publish. Often beginners read 6-figure blogging income reports and expect to quit their jobs in the first couple of months since starting a blog. That almost never happens. 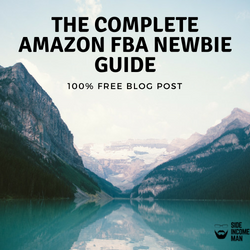 Before you get paid well as a blogger, you will need to basically acquire a new profession, which you can totally do in your free time as a beginner. So give it a try, and give it enough time to grow. I haven’t met anyone yet who was born with all the knowledge about blogging. I would like to thank Anastasia for providing us with an incredible insight into her blogging business and the way she earns a living from it. It really does show the potential when you can get the traffic numbers she has worked to get. A great side hustle come full-time income! Answer questions, solve problems with your blog. Do not just write about everyday life. Do not be afraid to invest. You can get INSANE traffic for free with Pinterest! Anastasia @ anastasiablogger.com is a former digital marketing expert turn into a blogging educator that helps others thrive on Pinterest, make money working from home and more! Next Next post: Spotlight #03 The Mum Who Fuses Glass, Sells on Ebay & Runs an Amazon Business! Anastasia’s story is awesome. I just came across her and am considering buying her course and paying for her Pinterest coaching. Its great isn’t it! – You won’t go far wrong if you do buy her course. She certainly knows her stuff when it comes to Pinterest! 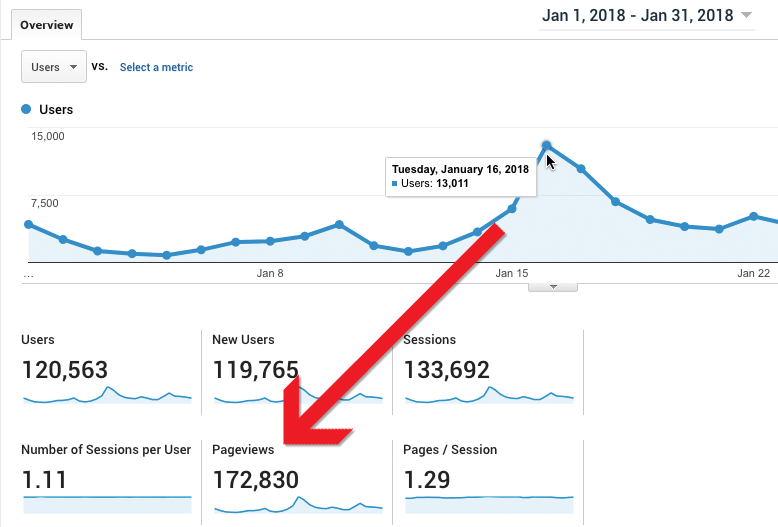 I have to understand why I read a lot of blog posts like these and yet despite trying to follow the example I can not increase visits to my blog! Pinterest is definitely a great source of traffic, though i’m active on pinterest but I need to learn more about it. I’m sure your tips will be going to help me a lot. these are awesome advice on how to build a profiltable blog. There is so much misinformation out there and fake myths. Will follow your tips! I rely enjoyed the interview you did with Anastasia. I’m looking for ways to earn money through my blog. Her interview was very helpful. I will have to look into using Pinterest to help increase traffic on my blog. This blogger is absolutely inspiring. Looks like success in blogging isn’t that easy. There is a massive amount of greatness in this industry. This was a great interview! I loved all the tips that were given! I will def be using Pinterest more in the future! I know many bloggers get great results from Pinterest. I feel like it’s an untapped platform because many people don’t spend as much time curating their boards and using it to their blogs advantage. I love Pinterest and always finding for new tips to improve. This is a great interview. It has given me loads of useful information. Thank you. I’m glad you’ve made it clear from the beginning. Blogging isn’t bread and butter at all and for those blogging for income, this should be made clear. The money takes time and strategy to come in. Yes Enstine! Thanks for stopping by.